MODX has developed two award winning, flexible open source content management systems with an active, international community for continued development and support. With MODX as your CMS, you get a fully customize site with your own templates, and your CMS never prevents you from getting the design you want for your site. How Does MODX Compare To Other Popular CMS’s? While MODX Revolution is frequently used as a CMS because of its custom features, it is frequently compared to three different content management systems that are also open source and widely supported: WordPress, Drupal, and Joomla. MODX or WordPress? : If you are seriously considering MODX, then you have probably already reviewed WordPress and determined it either a) isn’t flexible enough for your development needs or b) you want to make some mods to the PHP framework and need something less complex to build on from scratch. MODX can suffice as a blogging platform and WordPress can be used as a platform for custom web development, but they are better served for their core purpose. MODX or Drupal? : On the surface, Drupal and MODX appear to be very similar in performance and options for developers. MODX has the advantage over Drupal, however, because most users who edit content will find its administration area to be friendly and easier to use than Drupal. Both platforms allow you to build sites from scratch, but the complexity of using Drupal both pre and post development may lead many to try MODX. MODX or Joomla? : When it comes to user experience, Joomla leaves a lot to be desired for developers, designers, and content managers when compared to MODX. Despite its larger community of developers and wider use, experienced developers still tend to find Joomla to be frustrating and un­friendly to themselves, front­end designers and content managers. By comparison, MODX’s ease of use make it a wiser selection for multi­user websites. Who's Best for MODx Hosting? We think InMotion Hosting is the best choice for MODx. (Billed as $6.99 Per Month) ⓘPrices in are approximate, based on current exchange rates. The host will likely charge you in USD, or at a different exchange rate. (Billed as $9.26 Per Month) ⓘPrices in are approximate, based on current exchange rates. The host will likely charge you in USD, or at a different exchange rate. You can download MODX Evolution or Revolution from MODX’s website, as it is not readily available as a “one­click” installation via the control panels of most hosting providers. To install MODX on your site, you’ll need access to the root directory and a MySQL database. Check with both MODX and your hosting provider for full parameters and prerequisites. If you aren’t comfortable downloading and installing MODX, there is a directory of local MODX pros on their website and the team at MODX can be hired directly, too, to help you take your next steps. How Much Does MODX Cost? MODX is an open source content management system, so it shouldn’t require any fees to download. There is also a cloud developed by MODX for hosting and they normally offer a free trial for that solution. If you’re considering a third party for hosting, you shouldn’t need to make any changes to your package. While there aren’t as many plugins (called ‘Extras’ in the MODX ecosystem) available for MODX as there are for other open source CMS platforms, there are themes and Extras available to get you started. If you choose to purchase premium extras for MODX, then you will obviously incur a fee. With MODX’s emphasis on ease of design and SEO­friendliness, first time users who are experienced with development and design probably won’t need to spend a ton of money on Extras to go from nothing to something. There are a ton of open source content management systems out there to choose from as you set out to build your website. What sets MODX apart from other CMS options? As we mentioned above, it is engineered for custom development and adaptable to the latest search engine optimization (SEO) techniques. Designers, developers, and marketing pros across the web love using MODX because of how it can be custom built to meet their needs. Compared to a lot of the more popular CMS’s, MODX provides developers, content managers and designers a custom, scalable platform to build a website that can grow and evolve. Freedom for designers, freedom for non­technical content authors and freedom for your site to grow and change with your business. One way MODX does this is by providing shortcut codes, sometimes called “hooks,” allowing you to create your site with a minimum of code, making for a clean website search engines like. MODX will also auto­generate certain meta tags that help with SEO, and the way your site is displayed in the search engine results pages (SERPs). MODX actually has two CMS releases ­ Revolution (referred to in their community as ‘Revo’) and Evolution (aka ‘Evo’). Revolution is the most popular version of their CMS today ­ if you are looking for their most up to date, feature rich, and community­driven platform ­ Revolution is the solution for you. MODX Evolution, on the other hand, is their original platform. While it receives patching updates to remain stable and secure, you won’t find a lot of new features, cutting edge Extras, or community­driven development on the Evolution platform. To make the most of your website on the MODX platform, you should probably use a Revolution, not Evolution. 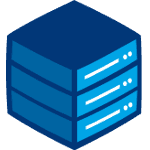 That said, if you are married to the MODX Evolution platform, there are many hosting providers with the capacity to host it. Confirm your server requirements and check with your MODX hosting provider to make sure what you are using is compatible with your CMS. What is MODX and can I use it to build a couple of business blogs, maybe a news site? MODX is a content management system (CMS) and web app framework for publishers. It launched in 2004 and was a highly acclaimed platform in its heyday. MODX is a streamlined a simple CMS, but thanks to a focus on standard compliance, it also features a relatively high level of security, making it suitable for businesses and commercial websites. How does it work? What do I need to know to use MODX? The CMS was originally written in PHP. Is MODX free? What about licensing? Yes, MODX is completely free to install and use. It is licensed under a standard GPL license. However, if you want to use MODX Cloud services, you will have to pay for the privilege. A 21-day trial for cloud services is available. Two different releases are available – Revolution and Evolution. What’s the difference between Revolution and Evolution releases of MODX? MODX Evolution is the original release, so it is mainly geared toward existing users who need legacy support. The Revolution release is the more popular version and it has more features, more updates and a more active community. If you are new to MODX, Revolution is the best bet. How does it compare to the competition? Does it have any features that make it stand out? The MODX team proudly claims that it was the first open-source CMS to offer truly mobile-friendly and responsive functionality, a few years before smartphones became mainstream. The team also emphasizes design freedom, security, customization and superior SEO functionality compared to most competing solutions. I am planning to launch a new site, maybe two. Is MODX a good option? Will you build the sites, or will you hire someone to do it for you? If you are already familiar with the necessary programming and scripting languages, MODX might be worth looking into. However, if you want to hire outside developers, chances are you will find a lot more Drupal, WordPress and Joomla developers out there, because these platforms are much more popular and attract more people. So how many people use MODX anyway? Is it a niche solution? MODX is very flexible and it’s really not a niche platform, but it doesn’t have nearly as many users as leading content management systems. MODX powers hundreds of thousands of websites, but WordPress powers millions. What about hosting? If I choose MODX, what should I look out for? While MODX should have no trouble running on most hosting packages, you need to bear in mind that it’s not available as a one-click install on most hosts. You will need root access to install it, so please keep this in mind. It can run on Apache, IIS, nginx, Zeus and lightpd servers. I am a little concerned about support. Does MODX have a big community and can I count on expert support? Like all open-source software, you aren’t exactly entitled to support, but MODX publishes extensive documentation and tries to provide as much support as possible. Support is one of the ways it hopes to differentiate from mainstream CMS solutions. What if I choose to migrate from WordPress to MODX? Would this be a problem? Yes, MODX offers extensive documentation on migration from WordPress. You should have no trouble moving your content to MODX, but it may entail a bit more work if you have a heavily customized site with lots of third-party software. How does MODX compare to WordPress in terms of features, flexibility and everyday use? MODX is designed to be more flexible that WordPress, so if you feel bound by traditional WordPress limitations, it could be an interesting alternative. You can also fork it easier by tweaking the PHP framework. Scalability is my biggest concern. What if my site outgrows MODX? If your site outgrows MODX – congratulations, business must be good! MODX’s flexibility also allows for a lot of scalability. The CMS supports smart scaling and advanced caching techniques, along with load balancing and other features needed on high-traffic sites, so there’s not much to worry about. I think I’ve had it with WordPress. MODX vs. Joomla? MODX vs. Drupal? Which should I choose? In many respects, MODX is quite similar to Drupal, but it tends to have a somewhat more user-friendly interface, with less clutter. Joomla is an even bigger platform, but MODX still tends to be easier to use, despite Joomla’s maturity and bigger community. However, the limited size of the MODX community could be a problem in some situations. With no one-click installation option, I am somewhat concerned that I may run into problems. Can I expect any support? You will have to spend a bit more time installing MODX than WordPress or Joomla, but the process is relatively straightforward. Also, there are plenty of guides and documentation are available online, in case you need some troubleshooting. MODX also offers professional support in case you run into serious problems. I am interested in creating a few SEO-optimized sites and MODX claims to have excellent SEO features. Is this true, or just marketing noise? Due to its focus on custom development and flexibility, MODX can offer a number of interesting features for SEO. Essentially, it allows you to tweak it on the go and implement the latest SEO techniques. Of course, you will have to know what you’re doing. A number of SEO add-ons are available as well.